The following article was written in the early 80's. Much has happened since then. The old Apartheid regime collapsed, a new Democracy took place and currently the country is undergoing a transformation. Karate has gone a total roundabout and today most of the sport codes have unified. Some of the sport codes have a shaky unity but in general more opportunities have arisen for those from previously disadvantaged backgrounds. It is important to realise or to appreciate the fact that prior to the unification of karate in 1992, karate was only practised and controlled by a small minority sympathetic to the Apartheid regime. 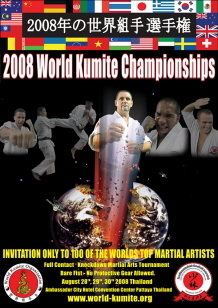 Universally it is now recognised that representative karate in South Africa only started at the Unification process. Boxing and wrestling were well known in South Africa before much was known about the Orient. Boxing was known as the manly art of self defence and was practised bare fisted by a few hardy individuals who performed this bloody sport before groups of men betting on the outcome. Judo was introduced into South Africa in 1945 by soldiers of the Second World War. Alec Butcher, a British Immigrant, was one of the earliest pioneers of the sport as was Jack Robinson for jujitsu. Judo established itself as an organized sport on a national basis only in 1955 when the South African Amateur Judo Association (SAAJA) was formed. Karate was formally introduced into South Africa in the early '50's by men such as Len Barnes, Mr Raku, Richard Salmon, James Rousseau, Des Botes and Stan Schmidt. By training on their own they progressed a great deal and when James Rousseau got his black belt in Japan, the first South African to do so, Karate was firmly established. Judo man George Higginson brought top Shotokan Instructors Keinosuke Enoeda and Hiroshi Shirai to South Africa and "hired" them out to a few karate schools in existence then. This proved the basis for future visits by top Martial Art masters and from there South African martial artist also undertook regular visits to the far East. At that time other South Africans also began to dabble in karate, but it was not until 1964 that it became organized on a national basis. "Shihon Dragon" and thereafter "First Dan S.A." magazines began coverage of Martial Arts activities in the middle '70's. Although these magazines was read largely by those practising the martial arts, many other people outside the arts who was curiously interested in such activities read it. These two magazines gave needed publicity for some of the little known Martial Arts systems, styles and their teachers. The "Shihon Dragon" Magazine however concentrated mostly on one particular style of karate, nl. 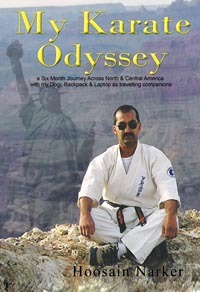 Kyokushinkai as the editor/publisher was a Kyokushin stylist. Numerous other publications were produced but none of them survived the long ordeal. It should also be mentioned that a lot of overseas martial arts publications were also sold in South Africa. An exchange of ideas and philosophies was thus promoted by these two magazines. Since that time there has been an exchange of karate techniques and ideas between various schools. This exchange however did not result in the combining of the different styles and techniques as happened in the United States where today one cannot distinguish between competitors' organisations without noting their different uniforms and insignia. One cannot even distinguish their style as everyone is borrowing techniques from other styles. In South Africa each style of karate kept its own National Tournament and only sometimes competitors from other organisations competed in it. This has slowly changed as the local karate scene compared itself with the international arena. In the USA and elsewhere they broke away from tradition as a survey shows. Some instructors here too have assumed high degrees of rank and are calling themselves Masters of the Art. One of the major threats to the purity of the Martial Arts is commercialism. This threat is somewhat of a paradox in that when it was apparent that there was a profit to be made in the Martial Arts, more and more businessmen entered the scene. There were bonafide Martial Artists amongst them wishing only to advance the arts and to earn a living at the same time, but others were only after a fast profit. Organisations was formed and chains of schools were created by the unscrupulous. Contracts were sold for high prices. Many students that had to drop the course for various reasons found that they were legally bound to pay full contract price even though they could not attend the classes. Full Contact Knock-Down Karate entered the South African scene from the Japanese Kyokushinkai style which was introduced by transplanted Scotsman, Len Barnes, 8th Dan. Len, regarded as the father of karate in South Africa, tells how in the early 50's karate was virtually unknown in this country. Because karate had its roots in the Far East, it was some time before English translations became freely available to spread the techniques. Len came up with the bright idea of waiting in Cape Town docks for ships from the Orient in the hope of bumping into a sea-going karate sensei from Japan or Korea. In 1958 his vigilance paid off when he was introduced to a first dan, a Mr.Nagatani. The honourable Mr.Nagatani had the golden egg in the form of an English translation of the Techniques of Kyokushinkai Karate (The book "What is Karate" by Mas Oyama). From that fruitful meeting the movement evolved until it now has more than 100 000 adherents throughout the country. Len Barnes propagated KDK (Knock-Down Karate) as a total karate self defence system, teaching falls and break falls to his eager pupils and in 1981 the S.A Kyokushinkai Association was honoured by a visit of the Supreme Master of Kyokushinkai, the legendary Masutatsu Oyama. Public interest in the Martial Arts has been aided by Television and Movies. Although the Asian Countries have been making Martial Arts films for some time, the majority of the South African public had not been aware of it. One early display of an oriental fighting art was by Bruce Lee in the film "Big Boss". Mr. Lee was shown using his art in combating crime with spectacular kicking and punching. This film and others thereafter brought many students into the martial arts all wishing to perform as they had seen Bruce Lee do so well. His later movies filmed in Hong Kong and other locations were a boom to the popularity of the Martial Arts. After Mr.Lee died in 1973, many claimed to be as good or even better than he was. A flood of kung-fu and karate studio's appeared all over the country. This also increased the enrolment in the karate studio's throughout South Africa. Spectacular martial arts demonstrations further increased the enrolment in martial arts training halls around the country. Full contact karate (KDK) is increasing in popularity with the general public due to the fast, hard, exciting karate that is displayed. As one bloodthirsty KDK explained. "KDK makes boxing look like slow motion fighting and other non-contact karate styles like shadow boxing. It's the difference between "touch karate and the real thing." Currently styles like Ashihara Karate which espouses Circular Methods and a "No-Tears - Punch without being Punched" approach is spreading like wild-fire. Incorporating the rugged Knock Down system and a Semi-Contact Continuous type of Sparring it has found a niche between the two extremes, i.e.. Non-Contact and Knock Down. 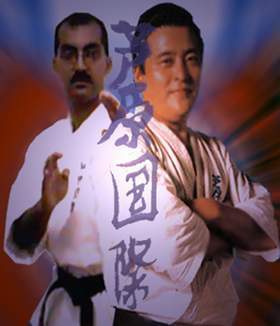 Professional full contact karate as done in the USA, Europe and elsewhere, propagated by men such as Bill "Superfoot" Wallace, Benny "The Jet" Urquidez, Don Wilson, Jean-Yves Therialt and others has moved from an experimental stage to its infancy stage. Currently even with more competitors vying for rankings and with better exposure, kick-boxing as it is also known has not overtaken other sports in popularity. Other diverse martial arts systems also being practised here is Aikido, Kendo, and Kobudo (Kobu-Jutsu). South Africa also has a peculiar form of stick fighting with "knopkierries" practised by the native Zulu tribes. The Korean art of Tae Kwon Do is also practised, but due to infighting amongst the Korean Masters - have not really became a role-player. Kung-fu and other Chinese Arts like Tai-Chi are now deeply entrenched in martial arts circles throughout the country. Various people are also offering classes in Ninjutsu but it is not known whether they are really qualified to do so. An art also being practised, but on a very small scale and mostly people with Malay origin is the art of Silat, also known as Pentjak Silat. Many Muslims partaking in "Khalifa" display's are unaware that some of the rituals that they perform in their demonstrations, have in fact been taken from the various Silat systems. Filipino arts like Arnis/Escrima/Kali and knife fighting are also practised by some individuals around the country. Some of the Indians (those born in India) have some ability in Indian stick fighting known as "Lahti" but to my knowledge very few of them practise it. In the last few years, Filipino Stick and knife fighting has really taken the fancy of a group of die-hard enthusiast. Many of these arts are practised at Gyms teaching a cross-section of arts which includes Brazilian Ju Jutsu, Savate, Muay Thai and Jeet Kune Do. What helps with the popularisation of these arts is the fact that a number of International instrcutors visit the country and the visit of local instructors abroad. There are many positive developments that have taken place and although there is some difference in opinion as to what is and what is not good for the Martial Arts. For example, the Martial Arts was linked to politics in the way that practically all existing organisations had to apply for a permit from the Minister of the Interior, so as to allow people from all the race groups to join and practise the arts at so called "white" schools as it was called then. The American Martial Arts Magazine, "Black Belt", in one of their early issues (Vol. 4, No. 5, May 1966) had an article covering this entitled "Karate Introduction In South Africa Scares The Minister Of The Interior". (He probably thought of the danger of karate as an offensive art falling into the wrong hands). This made South African KarateKa to train even harder and several of them has ventured overseas and fought or participated in International Meets under fictitious names and or countries. Many overseas experts has mentioned that they fear the day when South Africa will once gain be allowed to participate in International Championships. Said one expert, "They will be like raging Bulls". 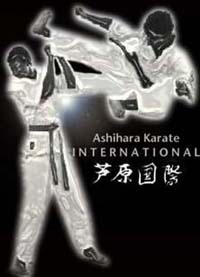 S.A Karate is currently ranked amongst the top 10 in the world. Since the beginning of the 80's, the martial arts has become more integrated and a persons race no longer plays a role in criteria for acceptance. He or she must just show willingness and dedication. Popularity of the arts will bring more students to train and allow better public understanding but it also creates commercialism. New forms and changes can improve abilities but old forms and techniques may be neglected and lost. Full Contact practise with equipment might serve as realistic experience but sometimes causes sloppy and wild technique, injuries and a hostile attitude. The best cause of action may be in educating the public and our students in the traditional philosophies of the martial arts in the hope that these goals will be more appealing than those selfish purpose appearing in today's civilisation. As traditional discipline are diminished, so will civilisation and its progress. * In 1992 South Africa was re-admitted to the World Karate Federation and due to the progress made by the Karate Association of South Africa (KASA), it played host to the 13th World Karate Championships of the WKF in 1996 which reportedly was the biggest and best ever. Years of isolation has helped in creating a better relationship.